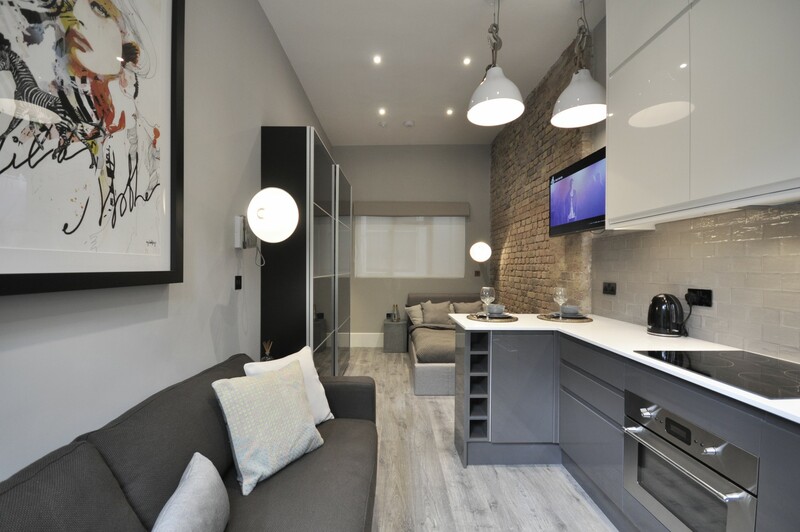 Apartment LG25-3 - Notting Hill Apartments Ltd. 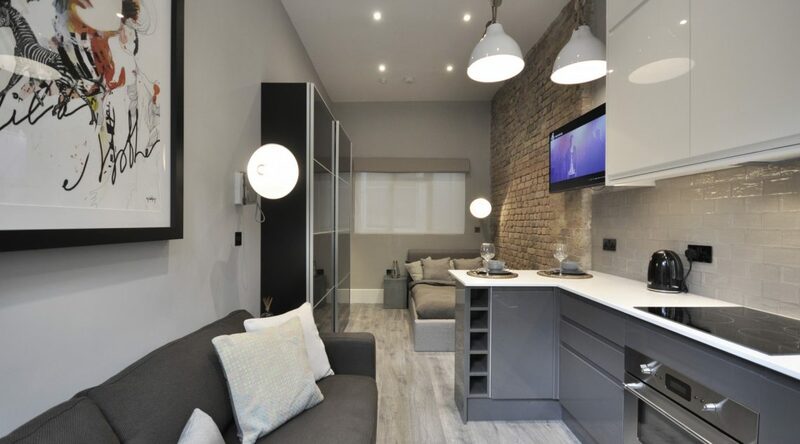 This bright, interior designed studio apartment is on the ground floor of a pretty Victorian house in Notting Hill. 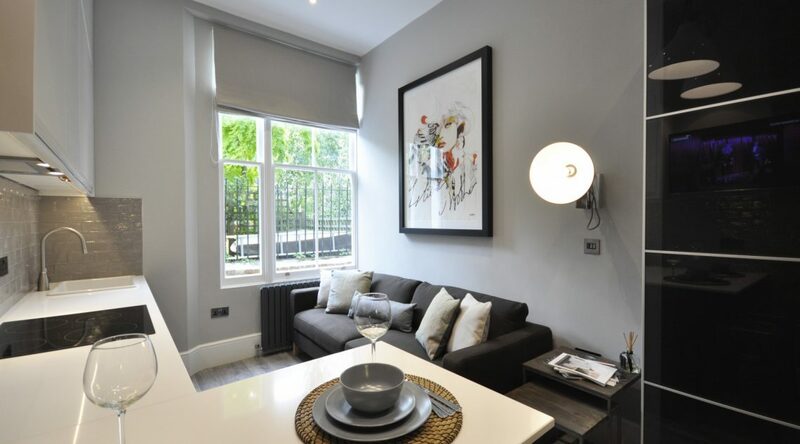 The house is on a quiet tree lined street but only a few minutes’ walk away from the bustling Notting Hill area. 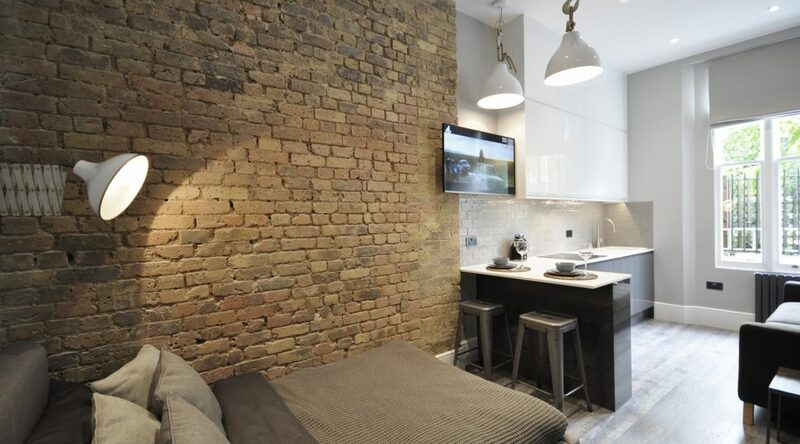 This flat has been elegantly refurbished with stained oak floors, exposed brickwork, designer lighting and custom made joinery giving it a stylish, warm and contemporary feel. The large window has lovely views of the gardens and trees while letting natural light flood in. The comfortable sofa next to the window is a great place to read a book or watch your favourite box set on the large flat screen, smart TV. 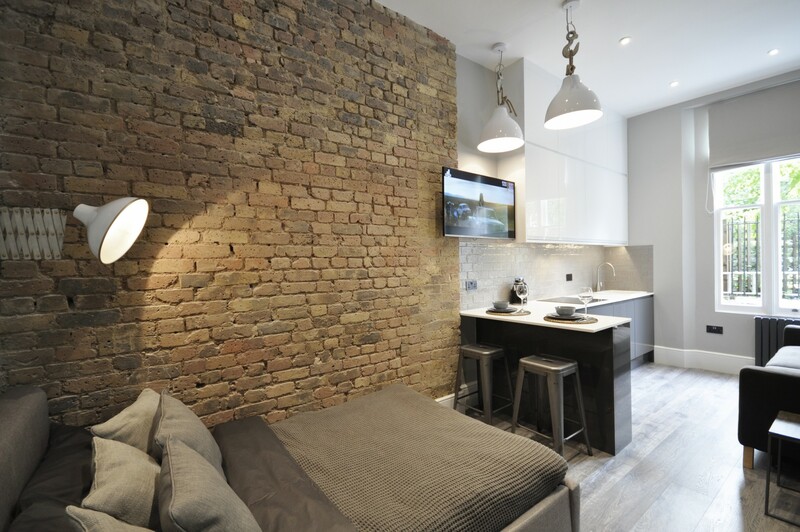 Unusually for a studio flat, there is a double bed in its own separate area. While it is strictly a studio apartment, having this separation between living and sleeping area makes this apartment very popular. The TV swivels to face the bed so that covers those lazy Sunday mornings in bed. A small breakfast bar with retro aluminium stools make for cosy meals or maybe double up as workspace or dressing table. 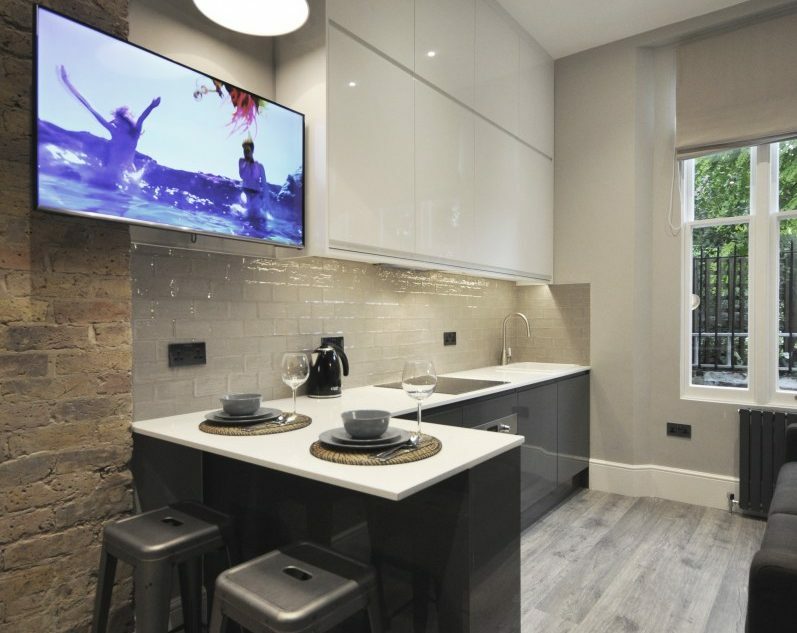 The contemporary two tone kitchen was recently installed and has an integrated fridge freezer, oven and hob and everything you need to perfect your cooking skills. There is a separate, shared laundry room in the building with washers and driers. 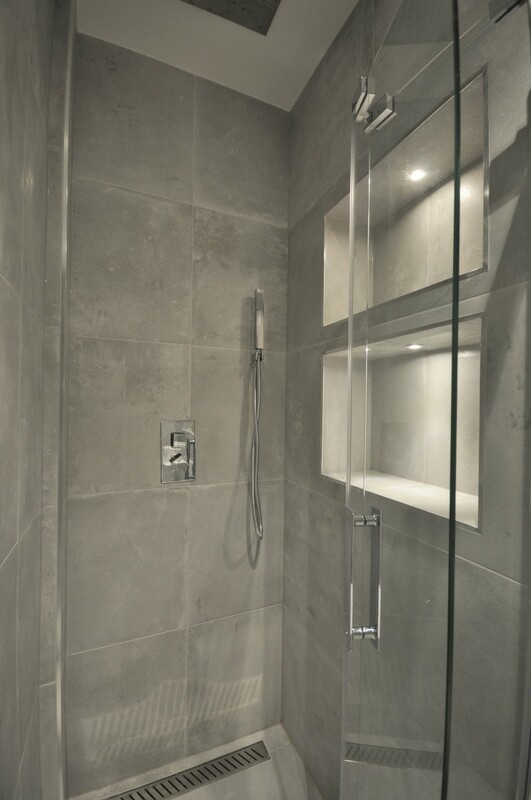 The fully tiled bathroom has underfloor heating and a powerful walk in shower with separate hand shower to start your day feeling refreshed. When you rent an apartment with us, the rental cost includes all utility bills (electricity, gas and water), TV and free WiFi. 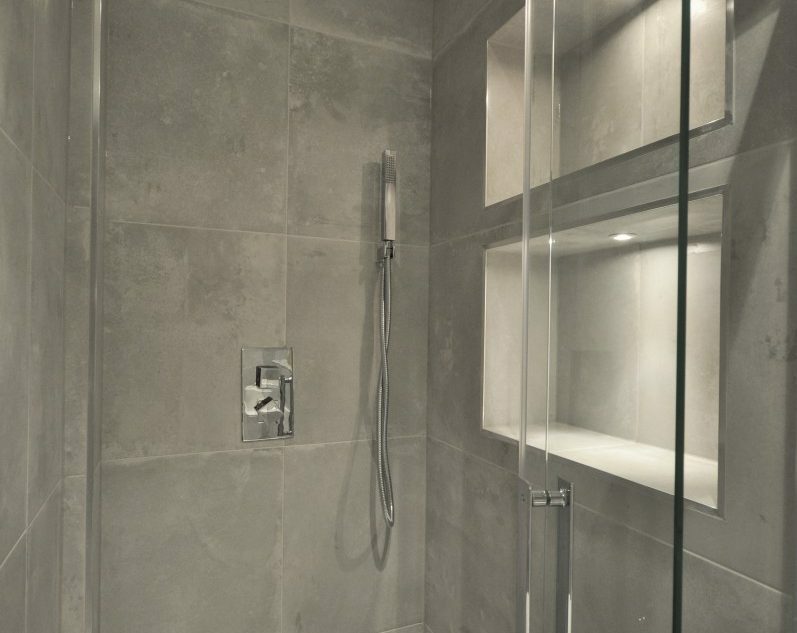 We can also arrange a weekly cleaning service. The building has CCTV security and an entry phone system in the apartment. 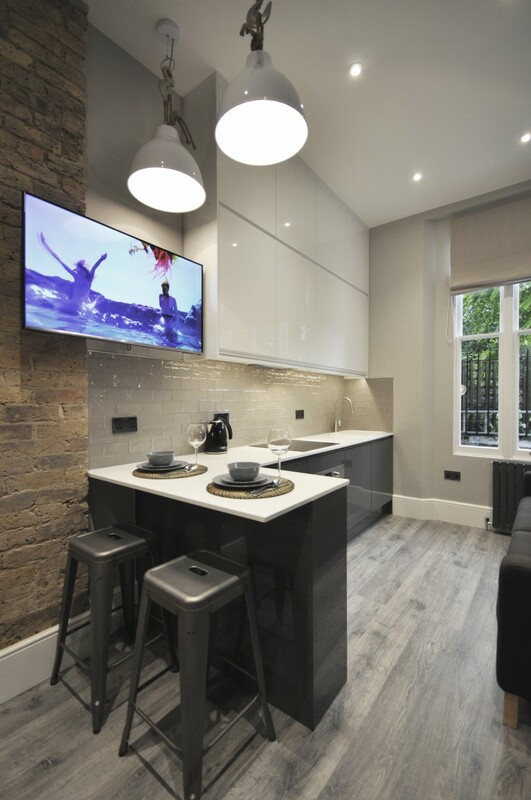 The Tube and numerous bus routes are just a five minute walk from the apartment which makes this an ideal location for exploring the wealth of attractions London has to offer. 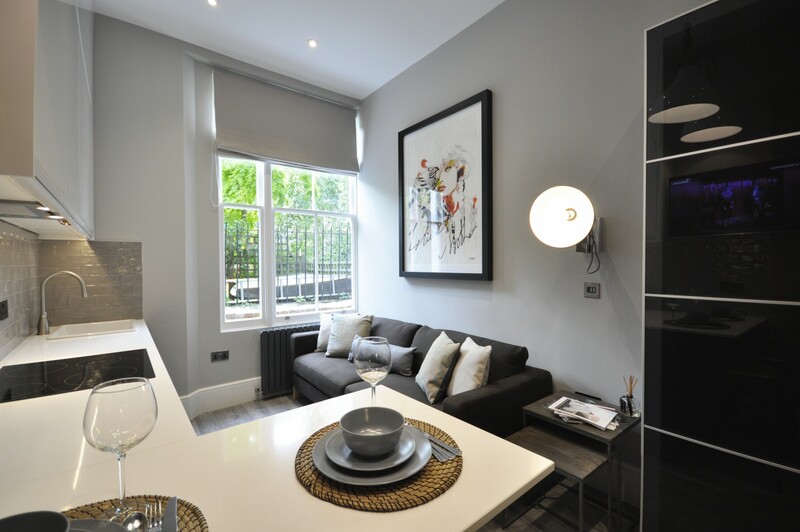 Notting Hill is a great base to rent an apartment in London with its cute neighbourhood feel. Locally, you can explore the buzzing nightlife with great pubs and restaurants or be in the West End in 15 minutes. With its eclectic collection of stores, Notting Hill is also a great shopping area, not least at the weekend with the famous Portobello Road Market a short walk away. Find out more about Notting Hill in our area guide. Call us now or use the contact form and our friendly and professional team will get in touch.